I love living in the VP. Super close to campus, all my friends are here as well! I also love the security of the building and how it is fully furnished! Thank you, Brooklyn! We always encourage feedback from our residents and your feedback is especially nice! We sincerely appreciate you taking the time to review Village Promenade and will do our very best to keep you happy! Should you need anything, please feel free contact us at 765.287.1000. I have not moved in yet, but I already love the people I am living with and the space I will be living in. I am most excited to use the amenities to make my college experience even better! Thank you for the 5-Star Review, Natalie! We are so excited to have you here at VP! Love living at at the VP. All the amenities that comes with living there makes it truly feel like home. Plus it is really close to campus too! We are so proud of Village Promenade and thrilled that you love living here! Thank you for the GREAT review, Cassidy! My favorite amenity is the 24 hour fitness center available! Having a gym so close is really convenient and it has everything I need. The maintenance staff is also really great whenever I need them! Few things make us happier than satisfied residents, Rachel! We are so pleased that you enjoy calling Village Promenade your home! Please let us know if there is anything you need to continue to love your home! Love VP! It's been full of fun with their activities and the staff is amazing and helpful. I couldn't ask for a better place to live during my time at Ball State! Thank you for the enjoyable experiences! We really appreciate you taking the time to leave this positive review, Hailey! Your time is valuable and you spent some of that time to compliment us – THANK YOU SO MUCH! Thank you, Sydni! We always encourage feedback from our residents and your feedback is especially nice! We sincerely appreciate you taking the time to review Village Promenade and will do our very best to keep you happy! Should you need anything, please feel free contact us. Village Promanede has been the best home I could ask for! Have had great roommate experiences & made some life long friends. Thanks for everything VP! Thank you so much for your kind words, Alyssa. Resident satisfaction is very important to us so your review made our day!!! Please let us know if there is anything we can do to help you continue to enjoy your home. Living at the village promenade for the past 3 years has made my college expirance better. I could not have picked a better place to live. I will miss all the amazing amenities and great staff. Thank you, Vanessa! We always encourage feedback from our residents and your feedback is especially nice! We sincerely appreciate you taking the time to review Village Promenade and will do our very best to keep you happy! Should you need anything, please feel free contact us. What’s better than a satisfied resident? A satisfied resident who writes a review! Seriously, this review made our day! Thank you so much for sharing your positive feelings about your home, Noah! Please let us know if you need anything at all at 765.287.1000. I absolutely LOVE living at Village Promenade! It’s always clean, the staff is friendly, the maintenance staff is quick and helpful, and the apartments are top notch. You will LOVE coming in and looking around! We are so happy that you're pleased with our community, Marissa. Our priority is to provide excellent customer service, so thank you for taking the time to share your experience with our future residents. If you need anything, please don't hesitate to contact our management office. Living at the VP for the past 2 years has been amazing! The security is awesome, the location is unbeatable, and the staff is always willing to help! All the great amenities are just a BONUS! I can't wait to live here again next year! We really appreciate you taking the time to leave this positive review, Kylee! Your time is valuable and you spent some of that time to compliment us – THANK YOU SO MUCH! Let us know what we can do to keep you happy! Great place to live because it is close to campus, and in the village that has everything you need. Plus the pool, hot tub, club house and work out space are top notch and always clean. We enjoy having you here, Jack! We have been actively working on making improvements for our residents and are happy to see that they're being noticed. We appreciate you taking the time to give us positive feedback and we look forward to many more good experiences. If you ever need to contact us you can do so directly at 765.287.1000 or VillagePromenade@assetliving.com. Safety and having your own bedroom and bathroom has been awesome! I would highly recommend Village Promenade for anyone looking for these things! Thank you so much for the wonderful review, Cindy! We truly appreciate it. I have absolutely loved living at the village promenade! The amenities are the absolute best, and I have always felt very safe living here. It’s been so easy to live here, and coming from out of state, it has been a very easy transition since it is furnished! Thank you so much for your kind words, Jennifer. Resident satisfaction is very important to us so your review made our day!!! The apartment itself is great. I love the proximity to campus as well as the apartment being furnished. The main problems we've had are loud neighbors above us. Thank you so much for taking the time to leave us a review, Victoria! We are thankful to have you here at VP. Please let us know if you ever have noise concerns at 765.287.1000 so that we can address that. I love living at the VP! I feel safe and comfortable at all times. I enjoy how close it is to campus. The maintence is always helpful. I will be sad when I have to move out! Ashton, thank you for your wonderful review! We are so glad that you were able to call VP your home away from home! I love living in the VP! The location is so convenient to campus and the staff is always so friendly and helpful. The amenities are really great and I feel so safe living here. Sarah, thank you for choosing us as your home and for taking the time to share your opinion with our current and future residents! 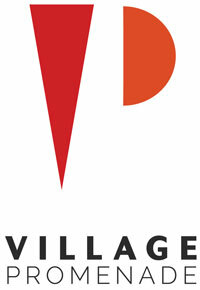 I've had a great time living at the Village Promenade. The quality of living here is very nice and the staff makes it a priority to fix any maintenance request. Mason, we really appreciate you taking the time to leave your wonderful review! We are so happy that you were able to call VP your home this year! great amenities--i love the pool, hot tub, and gym. As an additional plus, there's sometimes free food in the office and events in the clubhouse! Katrina-We sincerely appreciate you taking the time to review Village Promenade! We are so happy to have had you as a resident these past few years! I really enjoy living here! It's close to campus, the amenities are great and it feels like home! I'm so glad that I get to live here, and I can't wait to live here again next year! Samantha, thank you for the wonderful review! Thank you for calling the Village Promenade home this past year. We look forward to having you again next year! Convenient place to live! Great staff and neighbors. A ton of amenities to use and super close to campus. Surrounded by several food choices as well! Payton, thank you so much for your kind words. We are so glad that you are able to call Village Promenade home! Living here has been nothing but amazing. The friendliness of the staff and the amenities that are here, really add to the whole living experience. I wouldnt want to live any where else! Camryn, thank you for the great review! We are so glad to hear that your experience at Village Promenade has been nothing but fantastic. We look forward to having you again next year! Amazing amenities and studio. Very comfy living at a good cost! I’m very much looking forward to another year living here and I’m only through one semester! The VP is amazing. Benjamin, thank you for the wonderful review! We look forward to having you as a resident for another year! i have not yet moved in, but i am so excited to finally spend a year in a living situation where i don't have to worry about rude landlords, and in such a nice living space! Nealey - thank you so much for taking the time to leave us a review! We are SO excited to have you here at VP! I love living at the Village Promenade! You can’t beat the great location! There are so many restaurants and little shops within walking distance. I couldn’t imagine living anywhere else! What’s better than a satisfied resident? A satisfied resident who writes a review! Seriously, Amanda, this review made our day! Thank you so much for sharing your positive feelings about your home. If you need us, please reach out at 765-287-1000!